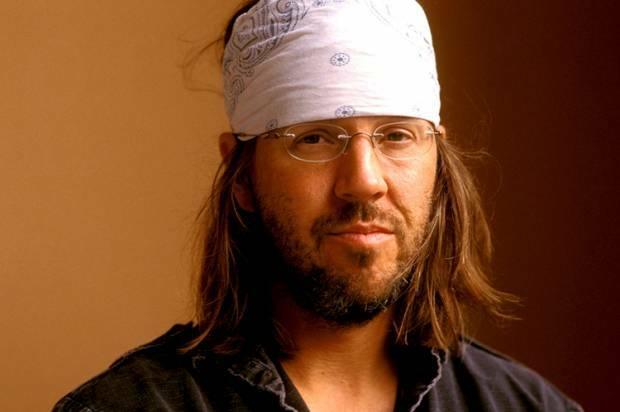 Deconstructing David Foster Wallace’s syllabus as a craft essay. Creative also suggests that this kind of nonfiction tends to bear traces of its own artificing; the essay’s author usually wants us to see and understand her as the text’s maker. This does not, however, mean that an essayist’s main goal is simply to “share” or “express herself” or whatever feel-good term you might have got taught in high school. In the grown-up world, creative nonfiction is not expressive writing but rather communicative writing. And an axiom of communicative writing is that the reader does not automatically care about you (the writer), nor does she find you fascinating as a person, nor does she feel a deep natural interest in the same things that interest you. The reader, in fact, will feel about you, your subject, and your essay only what your written words themselves induce her to feel. The apparent acid that Salon responded to in “whatever feel-good term you might have got taught in high school,” I read, instead, as an attempt to emphasize his own hard-won understanding. It’s not just that along the line Wallace got his ears bored off by some undergraduates’ essays, though there’s a whiff of that. 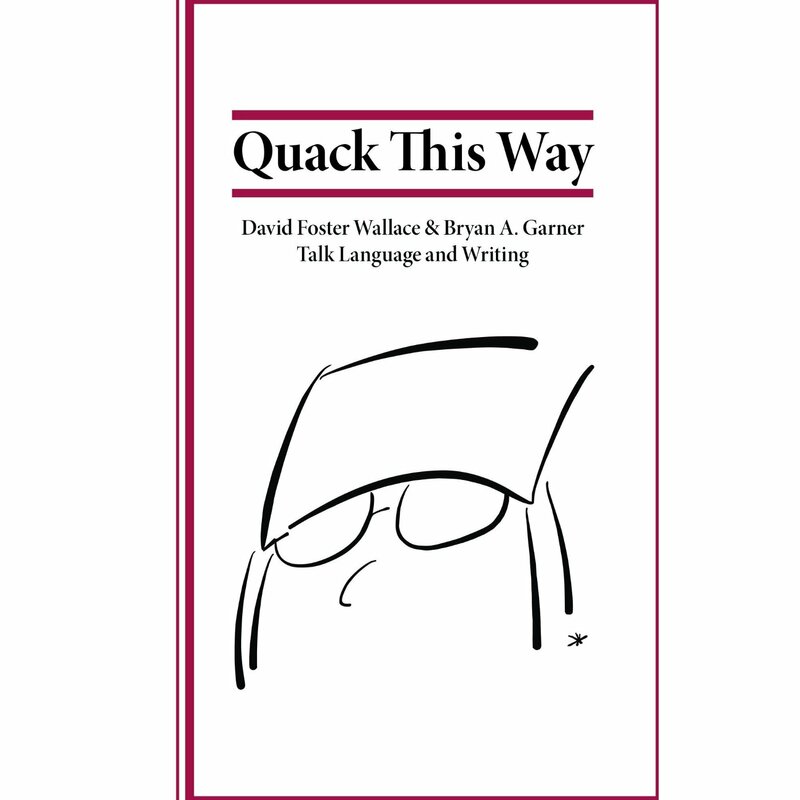 In the recent Quack This Way: David Foster Wallace and Bryan A. Garner Talk Language and Writing, Wallace discusses how in college he “snapped to it perhaps late,” thanks to his teachers, that the world “doesn’t care about you. You want it to? Make it. Make it care” (33-34). Also he’s trying to woo his students by inviting them into his world’s inner sanctum. We will learn what only the pros know. His brief for art over experience is a key aesthetic principle of literary nonfiction. Since such prose is often initially motivated by deeply personal experiences and feelings, which often it also does express, it can be a revelation to writers to learn that that’s not enough. As I read it, Wallace is not forbidding heartfelt personal writing but simply saying that the fact that the experience was personal or cathartic for the writer isn’t sufficient. High levels of craft, which themselves bespeak authorial distance and shaping, must be brought to bear. Attention must be paid . . . to the reader. Part of the grades you receive on written work in this course will depend on each document’s presentation. Presentation here means evidence of care, of facility in written English, and of empathy for your readers. The essays you submit for group discussion need to be carefully proofread and edited for typos, misspellings, garbled constructions, and basic errors in usage and/or punctuation. “Creative” or not, E183D is an upper-division writing class, and work that appears sloppy or semiliterate will not be accepted for credit: you’ll have to redo the piece and turn it back in, and there will be a grade penalty — a really severe one if it happens more than once. If this seems light reading for a semester’s writing class, recall that, because his English 183 class is small, he’s running it as one big workshop group. Each student must read, edit, and write about several classmate essays per workshop session. As far as I can tell, after the introductory class and two on these readings—so after about three weeks to get the students writing—the class’s three-hour weekly sessions were spent discussing student work. Pick one of these essays, pretend that it’s been written and distributed by an E183D colleague, and write a practice letter of response to it, being as specific and helpful as possible in detailing your impressions and reactions and suggestions for how the essay might be improved. I asked David Gessner how he felt about Wallace teaching his “Learning to Surf,” which was published by Orion. The essay braids Gessner’s learning to surf with his experience of being a father to a young daughter and with his increasing interest in the mute, prehistoric-looking pelicans that ride the ocean breezes past the middle-aged Gessner and his fellow teenybopper surfers as they tried to catch waves. I think Wallace used “Learning to Surf” because it’s well-written, interestingly structured, and something students might relate to or try to emulate (surfing, writing about multiple subjects, noticing nature and especially birds). However, Wallace’s friend Jonathan Franzen, an avid birdwatcher, has written about Wallace’s antipathy to that passion. Which raises a question about Wallace’s feelings about the whole nature-writing genre. Wallace’s syllabus also interested me for how it reveals the brilliant novelist and essayist as a beleaguered teacher of undergraduates. This class was limited to—praise the Lord!—twelve students. At most institutions, I imagine, the cap would be 16. As writing classes edge above 16 and reach 20 or more students, things get much less personal for everyone. Some students feel they can hide. Instructors simply cannot give each writer as much attention. For obvious reasons, you’re required to attend every class. An absence will be excused only under extraordinary circumstances. Having more than one excused absence, and any unexcused ones at all, will result in a lowered final grade. After the first two weeks, chronic or flagrant tardiness will count as an unexcused absence. All assigned work needs to be totally completed by the time class starts. Students have many more real and convenient excuses for late work, including trying to use a web-browsing device as their workhorse computer, lacking compatible software, or composing essays on thumb drives. Periodically I’m asked by students to email them essays because they can’t find drafts in their computers or have lost the thumb drives they trusted them to. And always, real but foreseeable (to an adult) printer pitfalls—including dry ink cartridges and empty paper trays—crossbreed with immaturity and procrastination. Technology both permits sharing and provides excuses that drive teachers half mad. There are no “extensions” in workshop-type classes; your deadlines are obligations to  other adults. Finish editing and revising far enough ahead of time that you can accommodate computer or printer snafus. This is not impossible, but it makes for tricky scheduling — you need to confer with me individually (and soon) if you wish to submit something other than the normal three pieces. Although a teacher labors to plug the holes and scare the hardened criminals, he learns repeatedly that he’s fair game. And that even good students don’t know the impact of their messy lives on a teacher with dozens of other students to tend and hundreds of pages to grade. Sometimes he imagines good students puzzling over syllabus invective spurred by the sins of their unknown miscreant forebears. As Dave says, it’s tricky. One of the ways Wallace handles these paradoxes of the teacher’s role is with humor. He’s spoofing his authority even as he establishes it. It’s clear he’s no ogre. Telling his students “you’re insane” if you don’t own a good dictionary and a usage dictionary makes the serious ones feel special—they’ll buy one or both. By all accounts, he was uncommonly attentive and kind to students. I’m surprised only that he didn’t list “deportment,” but surely that’s included under Alacrity of Carriage. Dear Richard, What a delight you are, what a delight David Foster Wallace must’ve been, and what a shame he’s with us no longer. But thank you for making me aware of this fine piece in the overall puzzle pedagogy often is. Victoria, you say it well: pedagogy IS a puzzle! At least to me. As you note, the advent of technology has spawned a host of new student “excuses” for not completing assignments on time — lost thumb drives, printer failures, etc. But I have to wonder if these excuses, like those from earlier generations, hide the student’s fear of failure and/or rejection. I would think that students who entered a class like the one taught by Wallace would have mastered that fear, but that may be wishful thinking on my part. Hadn’t thought of his students’ possible intimidation, Clay. But no sooner had I posted it than I got an email from a student asking me to email him two of his essays because his computer is disabled by a virus and his backup, a thumb drive, is missing. Richard, have you seen the film Liberal Arts? It features two characters who carry around copies of Infinite Jest (not named but recognizable with its blue cover). One of the characters is suicidal. The other, (older graduate) saves his life — and tells him to quit reading the book. Your students might enjoy. The setting is obviously Kenyon College, also not named. Thanks for calling my attention to the Salon article. I happen to be writing an essay about teaching, vocation, and the use of stories in the classroom. This is great timing. As always, I enjoy your own take on what you read. Thank you, Shirley. I have watched Liberal Arts! I hope you have caught some of the NPR series running on teaching this week. Last night’s installment was about how important is it for the teacher to be an entertainer. Good morning, Richard. I had read and enjoyed the piece on Wallace, too. Oh, how I would have loved his class. This: “Presentation here means evidence of care, of facility in written English, and of empathy for your readers.” Hilarious! But great advice for students and all writers sending rough drafts instead of polished ones out for publication. Yes, I love “empathy for your readers”—some students do not write as if human beings will read their stuff! They must be made aware of courtesy on the page. This essay ought to be required reading for both writing teachers and undergrads. I enjoyed it immensely, but am grateful to be neither! In some ways, it boils down to the golden rule, I think. “Write unto others as you would want them to write unto you.” Consider the reader’s experience, and her reasons for spending time reading, right? I do think there is a place for the kind of “classroom” in which people are encouraged to express themselves, find their voice, listen to themselves and honor their experiences. But I think it’s not appropriate for a college-level English class; or for college credit at all. And that DFW taught an essay which he hadn’t chosen as “best” shows, once again, that in a field of so many excellent writers, singling out a few yearly pieces for the “best” series depends on the personal taste and preference of the editor. How fortunate we are, that we are surrounded by so many excellent writers. Right? I was reading an essay last night and thinking that – how well done, how artful. There’s more art than we can shake a stick at! Good point, Tracy.